The immediate past governor of Imo state, Chief Ikedi Ohakim, on Friday claimed that the chairman of the APC Governors’ Forum, Rochas Okorocha “is hated even in the political party he spent billions of Naira belonging to Imo people to build”, alleging that party members see his successor as Devil. Aside describing the incumbent Imo governor as “a misnomer”, who has now become “an outcast in his own party”, Ohakim challenged Okorocha to a popularity contest on the streets of Owerri to see who is more loved by the people of Imo state. Okorocha had identified the Ohakim administration in Imo as the most hated and devalued of all the past governments in the state, adding that ever since the ex-governor made public his intention to re-contest the governorship position in the state, he (Ohakim) has chosen to attack him in the media day in day out. Responding in a statement issued by his Chief Press Secretary, Collins Ughalaa, in Owerri, Ohakim pointed out that Okorocha is already losing sleep over his (Ohakim’s) governorship ambition in 2019 right before the kick-off of electioneering. The ex-governor said he “cannot run his mouth like a broken gong, the way Okorocha does” because both of them are not on the same level. He added that he “cannot descend to the level of dishing falsehood, familocracy, land grabbing, conversion of public assets to private use, corruption, inordinate acquisition of wealth and mind-boggling stealing. The statement reads, “No one should tell Governor Okorocha that he is anathema when members of his party see him as the Devil and dine with him with extraordinarily long spoon. And despite his rantings, Imo people know he has become afraid of Ohakim just before the race gets started. We can only assure him that his nightmare would end when Ohakim wins the 2019 governorship election and is sworn in the second time for one term only. “We restate that Okorocha loathes the truth but feeds on the lie. That Imo people resisted his demolition/relocation of Eke-Ukwu Owerri, to the extent that a 10-year-old boy paid the ultimate price, that in 2016 a young man jumped from the pedestrian bridge at the Orlu Road Junction, Owerri, and took his life in broad daylight after cursing the Governor, are pointers that Okorocha has been deserted. No other sitting Governor in Imo State witnessed these. And perhaps these two are Okorocha’s “fantastic” achievements. “To cover his shame Okorocha thinks that reeling out his so-called achievements could make Imo people like him, but they are in such a hurry to see him leave instead. Okorocha’s achievements are well documented, and they include: iberiberism (stupidity), the highest infant mortality rate in the entire Southeast, dead healthcare system, lack of potable water and rural development, contract failure, wastages and financial recklessness, land grabbing, converting public assets to private use, skyrocketing unemployment, bastardised economy, dead bureaucracy, N200bn judgement debt, over N700bn debt, non-adherence to the rule of law and due process, amongst others. Above all, the Okorocha family which had barely enough to eat has suddenly become stupendously rich after Rochas Okorocha became Governor. To Okorocha therefore, this, too, is an achievement worthy of celebration. 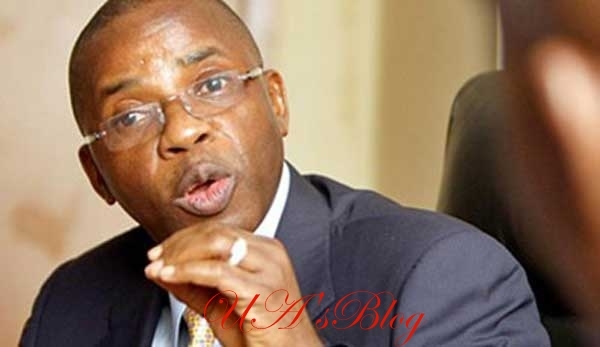 “Ikedi Ohakim served Imo State for four years without incurring a kobo judgement debt but Okorocha has wiped out in advance the entire 2019 and 2020 Imo State allocations for the incoming government just by recklessness and contravention of contractual agreements leading to massive judgement debts. It is Imo people’s money that will be used to pay the debts, not Okorocha family money. He is jittery that he will eventually be called to answer questions on how he had mismanaged the well over N1t while still incurring massive judgement debts. “Governor Okorocha is ruing the fact that Imo people have chosen to stick with Ohakim. That Ohakim remains the issue in the politics of the state seven years after he left office shows he is well loved by the people who also voted for him in 2011. They are appreciative of his selfless service while he was in office as Governor, including his fantastic healthcare system, 1,395 water schemes, Imo Mass Transport Service (IMTS), Imo Housing Scheme, including the Nekede and Arugo gardens estates, Imo State Investment Promotion Agency (ISIPA), the 10,000 jobs, Imo Job Center, modernisation of the Judiciary, Agro Nova, Clean and Green, the new government at New Owerri and the Ahiajoku center, etc. “Imo people are also grateful that Ohakim built 720km quality roads, including the road that leads to Okorocha’s house in Ogboko, while another 325km were at various stages of completion before he left office. If Ohakim had continued Imo State would have had a brand new government house, a refinery, Oguta Deep-sea Port, Oguta Wonder Lake and Conference Center, Imo Free Trade Zone, Imo Freeway of 150km linking 19 local government areas with toll plazas, housing scheme for all, etc. “I hereby challenge Governor Okorocha that within one week himself (even though he is a serving Governor) and Ohakim should take a walk along major streets in Owerri and test who is more popular and who has been rejected by the people. “Having failed the people these seven years, Governor Okorocha should stop blabbing and begin to write his handover notes to Dr Ikedi Ohakim in 2019. This alone will keep him busy instead of losing sleep over Ikedi Ohakim who has been the darling of the people.